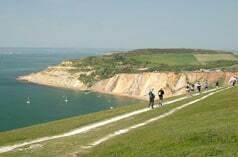 The Isle of Wight is home to some of the most diverse walking and cycling countryside in the UK. and has been named as one of the best cycling routes by Lonely Planet. 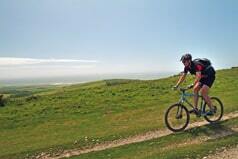 Come to the Island for a slow holiday, be it by bike or on foot. Modern life can seem too fast, being busy is not necessarily a bad thing - busy can be rewarding and fulfilling - but we all need a break sometimes. Your Isle of Wight holiday provides the perfect opportunity to take time out to gain a better perspective, to re-energise, to create a balance; a time to pause, slow down and savour things for what they really are. 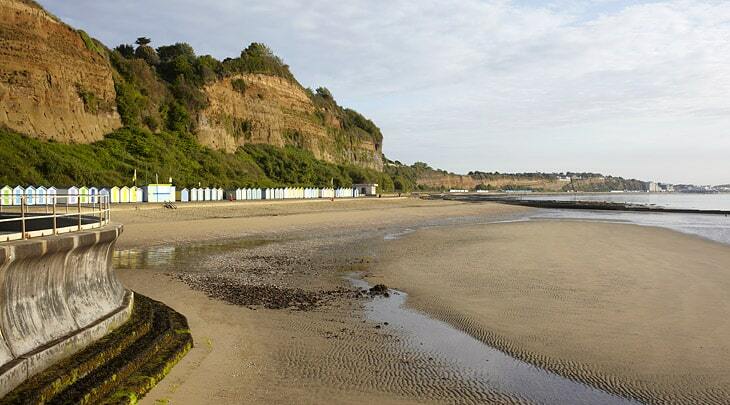 For us, a slow holiday is all about exploring the quiet side of the place you are visiting and taking your time to really enjoy the Isle of Wight's hidden corners, traditional ways of life and hospitality, its beautiful scenery and wildlife, and meeting the people who live and work there. A Slow holiday is a very personal and individual experience. 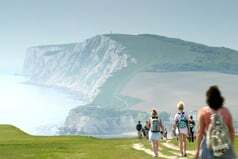 With over half of the island designated as an Area Of Outstanding Natural Beauty, almost 30 miles of heritage coast with a 67 mile Coastal Path circumnavigating the island, and criss-crossed as it is by more than 500 miles of well-maintained and signposted footpaths, the Isle of Wight is ideal for a walking holiday; and within an area of just 147 square miles you will find over 200 miles of cycle routes enticing you, with a choice of challenging off-road bridleways, peaceful byways and level purpose-made tracks on former railway lines.The Isle of Wight has also been nominated as a "Dark Sky Place"
Adding all this to an abundance of sunshine makes the Isle of Wight a very appealing and welcoming destination.The Island hosts the largest Walking Festival in the UK, usually in May, with a walking weekend in October. There is also the Island Cycling Festival held in late September.